Family holidays can be exhilarating, exhausting and inspiring. The memories I have of my children on various summer holidays will always be very dear to me, especially as they get older. Over ten years ago, after a family holiday in Cyprus, I began to write a book. At the time, I was just writing for myself – I had stopped publishing under my maiden name Lucinda Edmonds to focus on raising my children. But of course, I could never stop being a writer, and it kept me sane amidst endless nappies and re-runs of children’s TV. We were staying in a beautiful old villa just outside Kathikas. We had a stream of family friends visiting, and my children had the run of the house with their adventures and minor squabbles. The book I wrote featured a very similar family, with children of the same ages, though much of the plot and several of the characters are of course fictional. Yet there is no doubt that this is the closest I’ve come in a novel to drawing from my own life experiences of being a mother, a stepmother, a wife and a trained dancer. I put the manuscript away, and then found it again a couple of years ago when I was clearing out my desk drawer. My children are more than a decade older now, and it was fascinating to read the descriptions I’d written when they were young. In a way, it was my journal of their childhood, so I decided I should finish it. And yes, it was a departure, with no sweeping historical background or one-hundred-year time-span like The Seven Sisters series – just time spent in the same house, with a small cast of characters. I learned so much during the writing of it. At the heart of The Olive Tree is a crumbling villa called ‘Pandora’ in Kathikas. Twenty-four years ago a young Helena spent a magical holiday there, and fell in love for the first time. When her godfather dies, Helena inherits ‘Pandora’, and returns to spend the summer there with her family. Yet Helena knows that the idyllic beauty of Pandora masks a web of secrets that she has kept from William, her husband, and Alex, her eldest son. At the difficult age of thirteen, Alex is torn between protecting his beloved mother, and growing up. And equally, he is desperate to learn the truth about his real father . . . When Helena meets her childhood sweetheart by chance, a chain of events is set in motion that threatens to make her past and present collide. Both Helena and Alex know that life will never be the same, once Pandora’s secrets have been revealed. The book is told from both Helena’s and Alex’s perspectives, and I was honoured when my son Harry and I were asked to narrate the audiobook of The Olive Tree. To hear our discussion of family holidays, writing and the characters, go here. 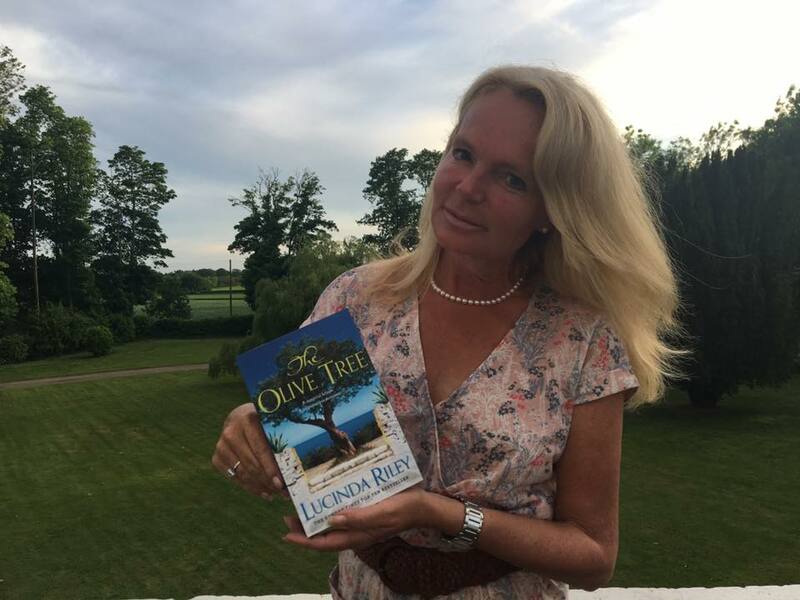 The paperback edition of The Olive Tree is now available in the UK & Commonwealth, USA and Canada, and in other countries it is published under the name Helena’s Secret.